After earning himself a suspension from swimming until next June and being forced to hand over his $100,000 Olympic medal bonus, Ryan Lochte did what many of us do when we're having a hard time: He reached out to a friend who's also a fellow Olympic swimmer. Lochte asked Michael Phelps for advice on what to do at a "low point." The problem is, that the two swimmers' lows couldn't be more different. 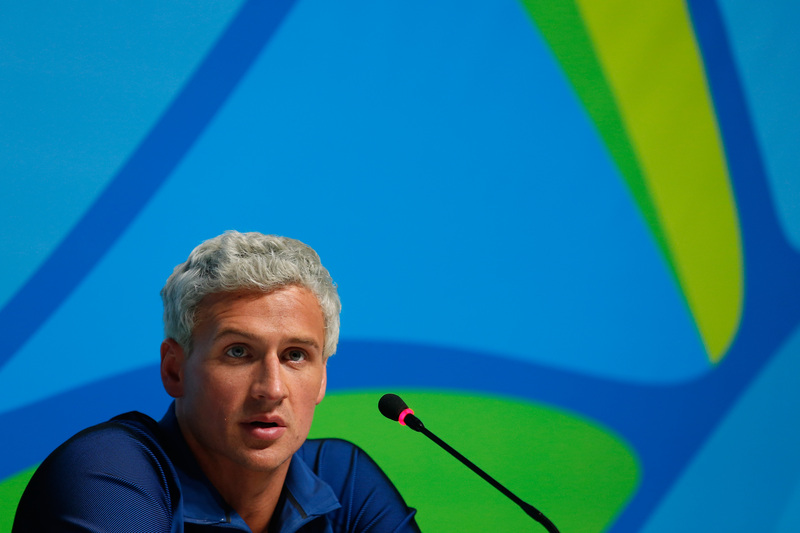 Let's recap what happened: While in Rio this summer, Lochte said that he was involved in a robbery after a night out of partying, a story that he took to the media, but not to authorities. Lochte initially said that a taxi, in which he and three other U.S. swimmers were riding, was stopped by armed men, who the swimmer said he believed were police officers, according to The New York Times. Lochte said that he was held at gunpoint and the attackers took his money out of his wallet. As officials in Rio opened their own investigation, Lochte quickly backpedaled to say that he had "over-exaggerated" the account, but by that time it had made major news that largely trumped the actual athletics happening at the Olympics. Lochte, who was done with his swimming events and safely back in the United States when Brazilian authorities opened the investigation, escaped a lot of on-the-ground hassles faced by his teammates, whose passports were confiscated and were barred from leaving the country briefly. So Lochte was slapped with a 10-month suspension, but will presumably be pretty busy filling his time out of the pool with his new Dancing With the Stars gig. Despite that, Lochte told Ellen DeGeneres (the full interview will be aired on Sept. 12) that he's feeling pretty down, so he reached out to Phelps for help because he "knew he hit a low point in his life and he bounced back from it, and [Lochte] knew his answer was going to be really honest because of [their] relationship over the years." Kudos to Phelps for being willing to help a pal out, but let's talk about Phelps' own "low point." The decorated swimmer was arrested twice on charges of driving under the influence of alcohol, The Times reported, something that should absolutely be taken seriously. According to The Times, Phelps then entered into a six-week stay at a rehab center, ultimately taking responsibility for his actions and role in endangering the lives of other people. Lochte, meanwhile, lied, ran away from the incident, and took advantage of the perceived dangerous reputation of a country that was doing its best to host a successful Olympic Games. Not to mention that he put the United States' reputation at stake. If we're going to compare notes on "lows," Lochte's seem to be a low for the state of the sports world at large, whereas Phelps' was a correction that he was willing to face. Not the same, Lochte. Not the same.